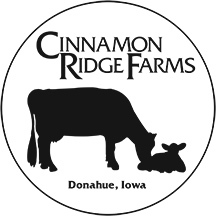 Cinnamon Ridge Dairy allows for a transfer of knowledge that is not only fun, but educational too! We invite you, your school, your summer program, or youth group to visit our farm. We are a family run, dairy farm with over 200 jerseys cows. We have many farm animals for you to see, pet, feed, and learn about. Our farm tours are fun, educational, and exciting for children, adults and seniors alike. We request that groups are 10 or more in size. Tours are $5 per person (including parents and siblings); no charge for teachers, 2 adult leaders per class, or bus drivers. The tour will take place rain or shine, so please dress appropriately for the weather. Spring Dairy Barn Tours are offered weekdays May 7th through August 31st. Please see the calendar for availability. - Ride on a tractor pulled wagon for a close up view of how corn and soybeans are grown. - Identify several types of grains (investigate by touch, sight, smell) and their uses. - See Robots milking cows! The price of the tour is $5 per guest. We do not charge for teachers and bus drivers. We hold the visits rain or shine so please come dressed appropriately. Please see the calendar for availability. Harvest tours are held during the weekdays in October. Picnics or snacks can be enjoyed on the grounds on a pack in, pack out basis. Please see the calendar for availability. Compelete the following fields to reserve your date.